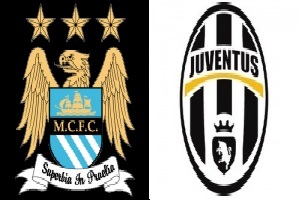 Manchester City will face Juventus in the Champions League - Group Stage. City has a great start with five wins in five games, 11 goals scored and none received. They are the main contenders for the title in England and the big favorite to win this group. Juventus is in a crisis. They have two losses and a draw till now this season. They managed to score a penalty in the end of the game with Chievo. That saved them from third in a raw loss. Juve will have to find a way out in the midfield without Vidal and Pirlo. Manchester City is the clear favorite in England and everything but victory would be a big disappointment for them.